Welcome Sephora Philippines. Sephora is a visionary beauty-retail concept founded in France by Dominique Mandonnaud in 1970. Sephora's unique, open-sell environment features an ever-increasing amount of classic and emerging brands across a broad range of product categories including skincare, makeup, fragrance, body and hair care, in addition to Sephora's own private label. Today, Sephora is not only the leading chain of perfume and cosmetics stores in France, but also a powerful beauty presence in countries around the world. My favorite online time-waster has taken a major over haul. 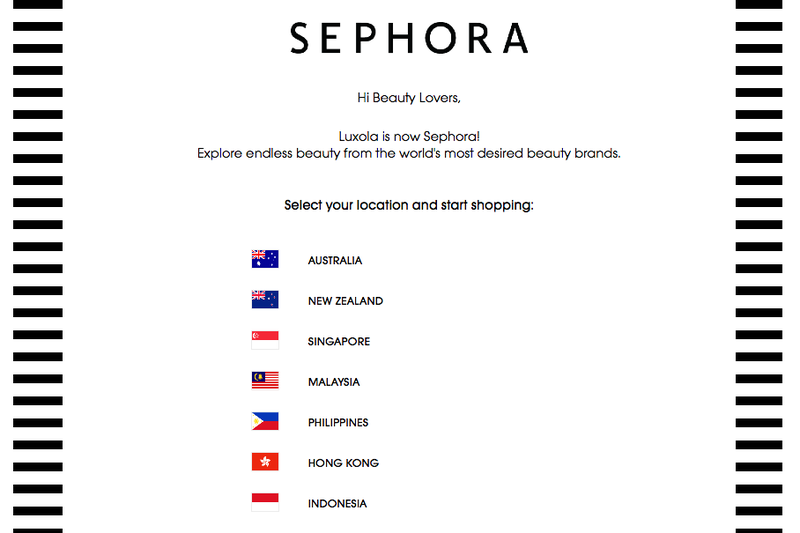 From being Luxola Philippines, the online beauty store has now been rebranded as Sephora Philippines. Filipino beauty enthusisasts has been a buzz with the change since this morning as ads on several social media sites has been popping up. I mostly see positive and excited responses. Personally, I am on the fence with this development. Luxola has been the the go-to supplier for most of my beauty needs - for the past couple of years, it has enabled my beauty addiction. As I browse through the new site, I can't help but get disheartened. While all my Luxola account details (username, email, wishlist, loyalty points) were retained, the site felt foreign. The Sale page (my favorite section) is nowhere to be found. Also a major gripe is that their Points/Reward system has become a joke - 1 pt for Php35, 250pts to reach Sephora Black that only give you 10% off. In contrast, Luxola used to give monetary rewards up to Php1700 for their Gold tier, weekly sales, freebies and discounts notwithstanding. Will this change affect my purchase habit? Most probably. I will be surely comparing past prices and discounts every time I buy from Sephora. Just thinking about those ridiculous price increase will now make me very hesitant to click that Buy button. On the bright side, there are a lot of new brands added to the site. It's good to know that high-end brands, are now at your fingertips, should you be willing to pay for them. To celebrate Sephora's arrival, I'm sharing with you my top products picks. And since I am a (relatively) frugal person, I have considered their prices in the selection. This Korean brand is my go-to for face masks. They have a wide of selection to cater for various skin concerns. 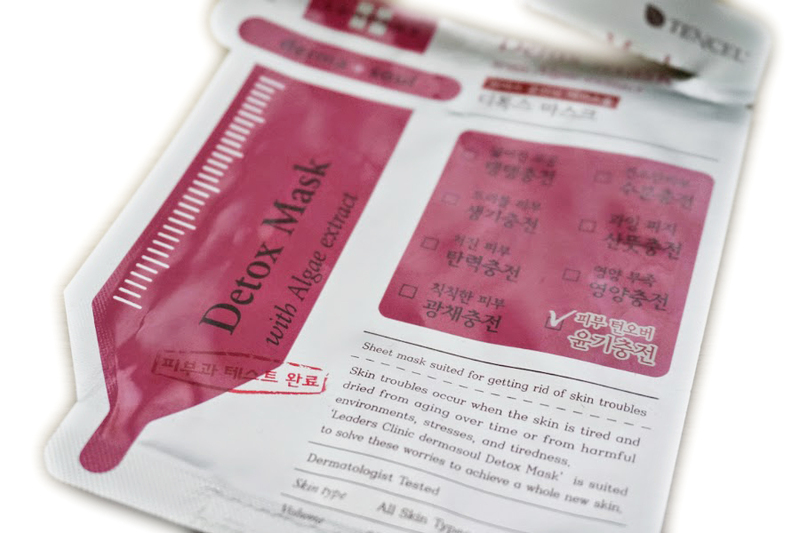 My favorites are their Pore Control, Detox and Regeneration masks. The price for each mask has increased a bit from 99 pesos to 116 but I've seen these masks selling for higher on other shops so you can still consider this a value buy. 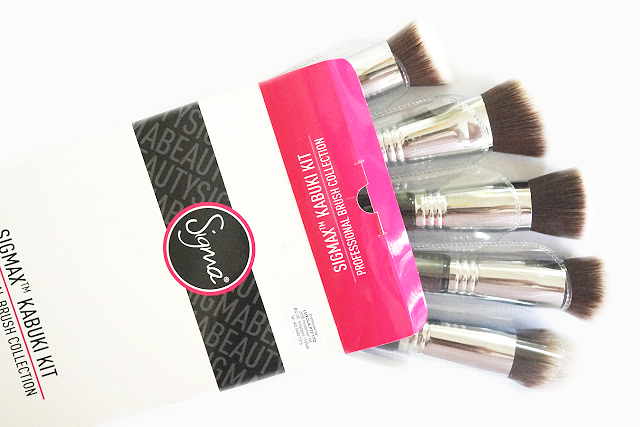 Sigma's makeup brushes are bestsellers on Luxola so it was not a surprised when they significantly jacked up their prices. Used to be that you can buy a basic eye brush for less than 400 pesos but now, a small eye brush would set you back at least 600 pesos ($12+ on Sigma's website). Still, you can't really buy these brushes just anywhere so I'm still happy to see them being sold despite the steep prices. Their 5-pc Kabuki Brush Set and 5-pc Precision Kit are both okay value. 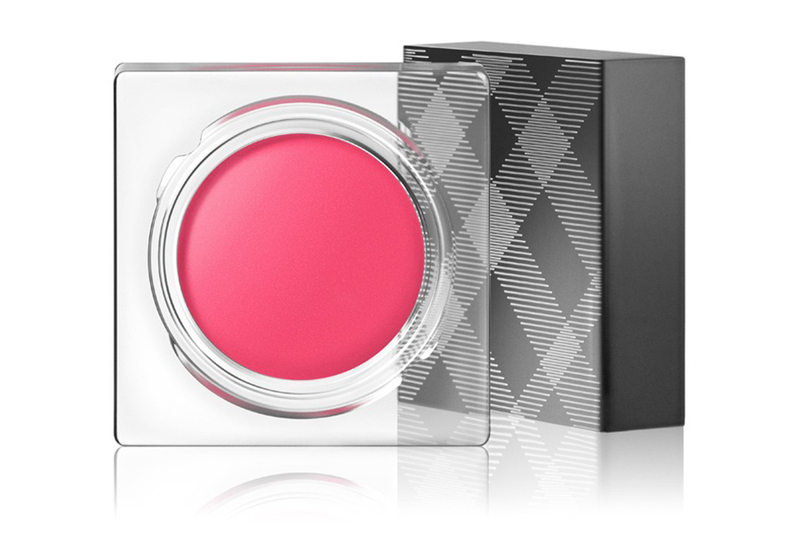 Looking for luxurious makeup? You can't go wrong with Burberry. The brand is one of the welcome changes to Sephora Ph. I've compared prices (vs Sephora US) and the difference is not too heartbreaking. I'm adding the Burberry Kisses Lipstick, Lip and Cheek Bloom Blush and Cashmere Foundation to my wishlist. Becca's bestselling highlighters are all the rage in the beauty world. I was able to snag three (Moonstone, Opal, Rose Gold) of the shimmering skin perfector poured when they were still at a bargain price (only Php 1300+ each) and now wish I've gotten more. Still, the current Becca prices are not so bad. 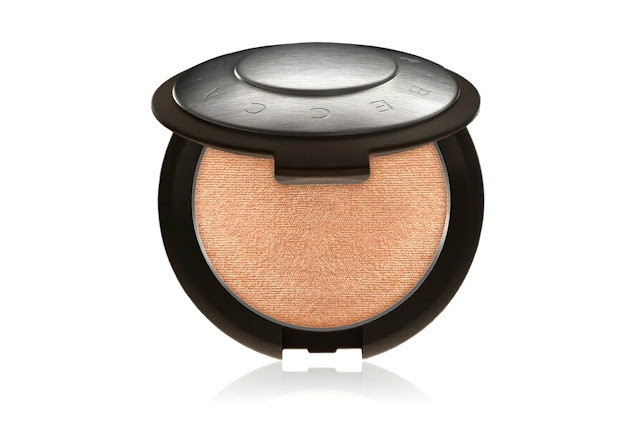 I could totally justify buying the Opal highlighter in pressed form as well as the limited edition Champagne Pop.